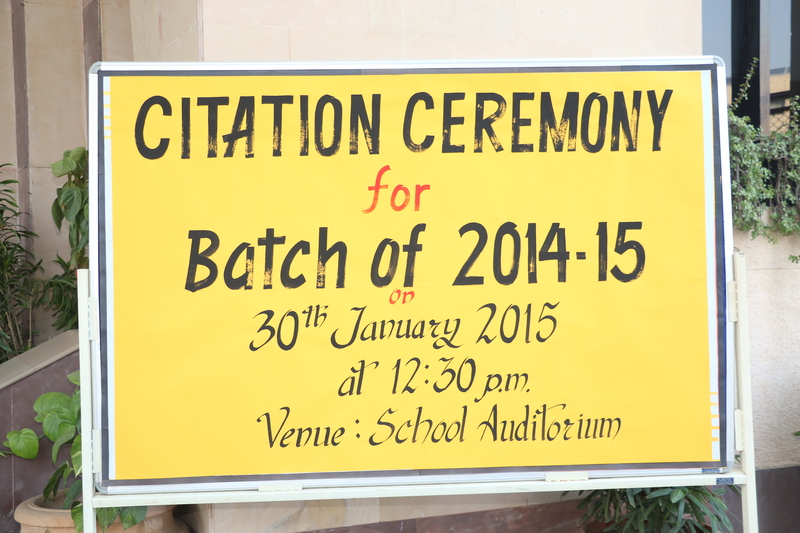 The Citation Ceremony for the batch of 2015 was a solemn and nostalgic event. All 230 students listened in rapt attention to the inspirational words of the Principal, Mr. D.M. Sharma. He spoke to them of the importance of being proactive and to stand up for the truth. Each student placed a candle on the stage and received a memento as the Graduating Class. The students were given a special message from the Senior Section Incharge, Mrs. Prabhjot Butalia. The Vice Principal, Mrs. Swadesh Kumar wished them for the success in their exams and motivated them to remain sincere in their quest for excellence as true Goenkans.